Chaplain of the Royal Academy of Music. Chancellor of the University of Northampton since 2017. Richard Keith Robert Coles (born 26 March 1962) is an English musician, journalist and Church of England priest. Now vicar of Finedon in Northamptonshire, he was formerly the multi-instrumentalist who partnered Jimmy Somerville in the 1980s band The Communards, which achieved three Top Ten hits, including the Number 1 record and best-selling single of 1986, a dance version of "Don't Leave Me This Way". He also appears frequently on radio and television as well as in newspapers. In March 2011 he became the regular host of BBC Radio 4's Saturday Live programme. Coles was born in Northampton, England. He was educated at the independent Wellingborough School (where he was a choirboy) and at the South Warwickshire College of Further Education (Department of Drama & the Liberal Arts) in Stratford-upon-Avon. He later attended King's College London where he studied theology from 1990. He was awarded an MA by research from the University of Leeds in 2005 for work on the Greek text of the Epistle to the Ephesians. Coles is openly gay and lives with his civil partner, the Reverend David Coles (né Oldham), in a celibate relationship. The Church of England has allowed priests to enter a civil partnership since 2005. His older brother Andy Coles, a former policeman, was elected in 2015 as a Conservative councillor in Peterborough and appointed deputy Cambridgeshire Police and Crime Commissioner in 2016. After a mention in Richard's 2014 autobiography, he was accused of having deceived a 19-year-old political activist into a sexual relationship while he was a 32-year-old undercover police officer in the 1990s and resigned as deputy commissioner on 15 May 2017. Coles had learned to play the saxophone, clarinet and keyboards and moved to London in 1980 where he played in theatre. In 1983 he appeared with Jimmy Somerville in the Lesbian and Gay Youth Video Project film Framed Youth: The Revenge of the Teenage Perverts, which won the Grierson Award. Coles joined Bronski Beat (initially on saxophone) in 1983. In 1984 Somerville left Bronski Beat and he and Coles formed The Communards, who were together for just over three years and had three UK Top 10 hits, including the biggest-selling single of 1986 with a version of "Don't Leave Me This Way", which was at Number 1 for four weeks. They split in 1988 and Somerville went solo. Coles provided narration for the Style Council's film JerUSAlem in 1987 and also started a career as a writer and journalist, particularly with the Times Literary Supplement and the Catholic Herald. He came to the Christian faith in his late twenties, after "the best of times, the worst of times", pop success and the deaths of friends as a result of HIV. From 1991 to 1994 he studied for a BA in theology at King's College London. While at university, he became a Roman Catholic and remained so for the next ten years before returning to Anglicanism in 2001. Coles was selected for training for the priesthood in the Church of England and began his training at the College of the Resurrection, Mirfield, West Yorkshire, in 2003 before being ordained in 2005. After ordination he was a curate at St Botolph's Church in Boston, Lincolnshire and then at St Paul's Church, Knightsbridge in London. He has been chaplain of the Royal Academy of Music and has also played Dr Frank N Furter in a local concert and conducted an atheist funeral for Mo Mowlam in 2005. Coles was an inspiration for the character of Adam Smallbone (played by Tom Hollander) in the BBC Two sitcom Rev., and was an adviser to the show. Coles mentions in his book "Fathomless riches" that he is the inspiration for the character "Tom" in the Brigitte Jones novels. In January 2011, Coles was appointed as the parish priest of St Mary the Virgin, Finedon in the Diocese of Peterborough. On 1 November 2012 (All Saints' Day), Darton, Longman and Todd published Coles' book Lives of the Improbable Saints, illustrated by Ted Harrison, a précis of the life stories of nearly 200 lesser-known saints. The following year volume two, Legends of the Improbable Saints, followed. From 2011 Coles has been on the board of Wellingborough Homes, a social enterprise providing housing and community support for the Borough of Wellingborough. In 2012 he was awarded an honorary doctorate by the University of Northampton and also became a fellow of the Royal Society of Arts. In 2016 he was awarded an honorary DLitt by the University of Warwick. In 2014 the first volume of his memoirs, Fathomless Riches, was published by Weidenfeld & Nicolson. In 2016 a follow-up volume, Bringing In The Sheaves, was published. In July 2017 he was elected a Fellow of King's College London and, separately, Chancellor of the University of Northampton. Coles still works as a broadcaster, which he describes as "just showing off", including Nightwaves on Radio 3, which he formerly presented, and Newsnight Review on BBC Two. In May 2008 he appeared on the Radio 4 panel game show Heresy and he has appeared five times as a guest on the topical television news quiz Have I Got News for You, in 1994, May 2009, May 2013, April 2016 and June 2017. He presented a special edition of Songs of Praise in January 2010. He was a guest on the BBC Radio 4 comedy Heresy in May 2010 and a Children in Need special of the BBC quiz Only Connect in November of the same year. In 2011 he presented a four-part Radio 3 series called Out in the World: A Global Gay History. He regularly guest-hosted the Radio 4 programme Saturday Live, while regular host Fi Glover was on maternity leave from 2008 to 2009: Coles replaced Glover permanently in 2011. On 1 September 2011, he presented a short piece on his home town and parish of Finedon for the Radio 4 programme You and Yours. In December 2012, December 2013 and November 2014, he appeared as a guest on the BBC comedy quiz show QI. In January 2014, he won the BBC's Celebrity Mastermind quiz, his specialist subject being the Mapp and Lucia novels of E. F. Benson. Coles featured as the subject of Fern Britton Meets... on BBC1 in December 2014. Since 2014 he has appeared regularly in the "Pause for Thought" slot on Radio 2's The Chris Evans Breakfast Show, for which he won a Jerusalem Award in 2014. In July 2016 he appeared on the BBC cooking series Celebrity Masterchef, finishing in fifth place. In February 2017 he co-presented The Big Painting Challenge with Mariella Frostrup on BBC1. From September 2017 Coles was a contestant for the 15th series of BBC's Strictly Come Dancing. He was paired with professional dancer Dianne Buswell and they were the second couple to be eliminated, after scoring 14 points for their Pasodoble to Flash Gordon - the worst Pasodoble in the history of Strictly. On 18 December 2017 he was a guest panelist on episode 11x05 (Christmas special) of the BBC1 comedy quiz Would I Lie To You? hosted by Rob Brydon. ^ a b c d Coles, Richard (6 December 2009). "My week: Richard Coles". The Observer. London. Retrieved 17 June 2010. ^ "Changes to BBC Radio 4's Saturday Live". BBC press releases. Retrieved 18 March 2011. ^ a b c d e f "Newsnight Review – Richard Coles". BBC News. 6 March 2008. Retrieved 17 June 2010. ^ Richard Coles (2005). Fathomless riches? : the United Bible Societies' Greek text of the Epistle to the Ephesians (MA thesis). University of Leeds. ^ Strudwick, Patrick (13 October 2014). "Richard Coles: My journey from pop star to celibate vicar". The Independent. London. ^ Craig, Olga (3 April 2011). "Rev Richard Coles: from pop star to pulpit". The Daily Telegraph. London. ^ "Gay cleric's 'wedding' to partner". 1 August 2006. Retrieved 22 September 2017. ^ Evans, Rob (15 May 2017). "Cambridgeshire deputy police commissioner resigns over spy claims". The Guardian. Retrieved 22 June 2017. ^ Evans, Rob (12 May 2017). "Cambridgeshire deputy police commissioner facing calls to resign over spy allegations". The Guardian. Retrieved 12 May 2017. ^ "Statement from the Office of the Police and Crime Commissioner". Retrieved 15 May 2017. ^ "Jimmy Somerville – Biography". JimmySomerville.co.uk. Archived from the original on 1 August 2010. Retrieved 17 June 2010. ^ "Framed Youth Revenge of the Teenage Perverts (1983)". BFI: Film & TV Database. Retrieved 17 June 2010. ^ "Reverend Richard Coles". JLA. Retrieved 17 June 2010. ^ Coles, Richard (6 March 1994). "Real Life: In the end, a certain grace: Richard Coles, a pop musician, decided that he could be a Christian, despite its 'untrendiness'. Then a friend's death tested his faith". The Independent. London. Retrieved 17 June 2010. ^ Henley, Jon (22 September 2011). "Rev Richard Coles: 'I'm the go-to gay'". The Guardian. London. Retrieved 19 November 2014. ^ "Church Times – More Petertide ordinations". Church Times. London. Retrieved 17 June 2010. ^ "Christmas for Richard". BBC. Retrieved 17 June 2010. ^ "Richard Coles on the best musical motifs of all time". The Guardian. London. 22 July 2008. Retrieved 17 June 2010. ^ Morgan, Christopher; Delmar-Morgan, Alex (20 August 2006). "Holy downshifters swell vicars' ranks". The Times. London. Retrieved 17 June 2010. ^ Mirror news (28 June 2010). "More BBC vicar? 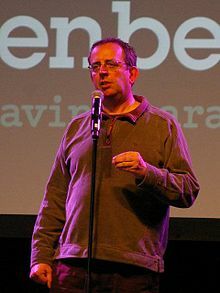 Popstar Reverend Richard Coles inspires sitcom". Daily Mirror. London. ^ Gyle, Rev. Alan (11 January 2011). "Fr Richard to move to New Parish" (PDF). StPaulsKnightsbridge.org. ^ Stanford, Peter (10 January 2010). "Revved up: Richard Coles, a very modern vicar". The Independent. London. Retrieved 17 June 2010. ^ "BBC Radio 4: Heresy". BBC. Retrieved 5 September 2010. ^ "TBI Media :: Pause for Thought Wins at the 2014 Jerusalem Awards". tbimedia.co.uk. Retrieved 8 October 2017. ^ Hawkes, Rebecca (8 October 2017). "Strictly Come Dancing 2017 Movie Week results: Rev Richard Coles sent home after dance-off with Simon Rimmer". The Daily Telegraph. Retrieved 8 October 2017. This page was last edited on 22 April 2019, at 18:22 (UTC).